Ask any good voice teacher if they would recommend starting inexperienced singers with singing exclusively in extreme registers, and you’ll probably hear either a resounding “no” or chuckles of laughter. The truth is that in building voices, the midrange is often the best place to start, because that is where students are most comfortable and confident. From there, we lead singers on brief excursions to higher and lower notes, and those increasingly frequent voyages gradually extend their usable range. While most agree that this is good vocal pedagogy, why is it that we as choir directors are so quick to classify singers as “sopranos” or “basses” and ask students to sing in the same extreme register for an entire semester…or year…or four-year high school career? 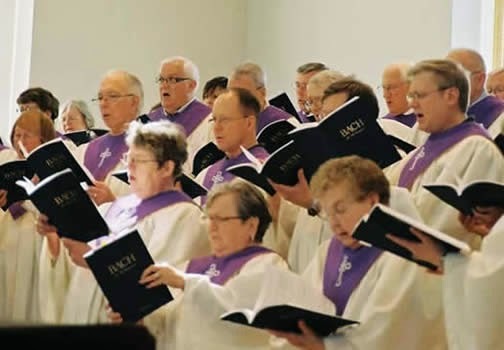 Several years ago, I heard Lisa Fredenburgh present a fantastic interest session on this topic called “The Switch Hitters’ Guide to Voicing Women’s Choirs” where she advocated asking women to switch parts in her choir in order to change the color of each song. Heavier voices might sing soprano to achieve a late Romantic feel, while lighter voices could sing soprano to present music from the Renaissance. Similarly, Dr. Lori Hetzel at the University of Kentucky frequently reminds students in rehearsals and lectures that true altos are increasingly rare, and that the alto 2 part is more a function of composers’ wishes than of human voices. I believe that a similar approach can benefit students at all levels and voice parts. In my beginning choirs (including middle school, high school, and college groups), I try to avoid voice-part labels. For younger students, I create teams based around colors, allowing students to choose their color, and then replacing voice labels in the music with the appropriate team’s color. Each team has a similar proportion of strong/weak readers and loud/soft voices. This allows for experience to encourage and assist inexperience, and builds bridges between younger and older singers. It also ensures that all parts can handle challenges equally. For older singers and choirs with changing voices, I will assign individual singers to different voice parts based on the range of their voice and the chosen piece, their level of experience, and what I feel they need to practice most. 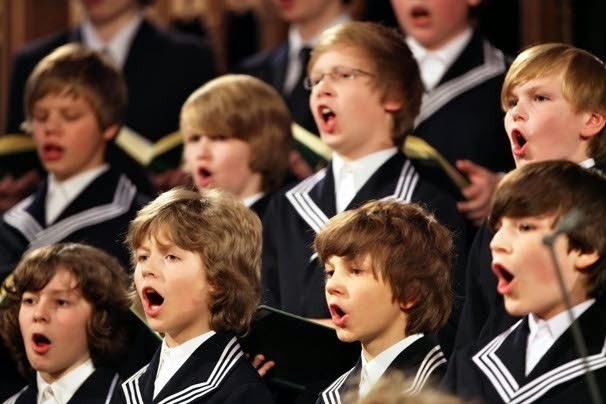 Some of these singers may end up singing one voice part most of the time because their voice has an extremely limited range (cambiatas, for example), they need more practice with learning to hear and sing harmony parts or because they simply aren’t ready to explore their higher or lower ranges just yet. However, even these students deserve the opportunity to trade parts at least occasionally when moderate ranges are available--even your baritones and basses should explore falsetto at least occasionally. Asking one or two to join the cambiatas for a song can offer a mentoring or bonding opportunity while also teaching them to access an often-forgotten and extremely valuable part of their range. Most importantly, I choose pieces with limited ranges as much as possible. My arrangement of Minstrel Boy for SATB choir keeps singers within a minor 9th for most of the song, and only occasionally dips the second altos to B3. When a piece goes beyond those limits (for example, Sanctus from the Redemption Mass or my arrangement of Die Erlkönig), I carefully choose the singers who go to the extreme registers and make sure that they aren’t asked to sing those notes on every piece of a program unless they are adequately skilled to maintain that level of performance for an entire concert—a rarity among inexperienced singers, and perhaps not as common as we might think among singers with significant experience. I strongly encourage directors to experiment with changing voicing regularly. If not on multiple pieces within a single program, then at least after each concert. By doing so, we prevent the same students from straining for every high note or every low note, expose them to the opportunity to explore new registers in their voice (and practice transitioning between them), teach ALL students to sing harmony AND melody, and discover new timbres for our ensemble’s sound.